First stop is Food Anatomy. 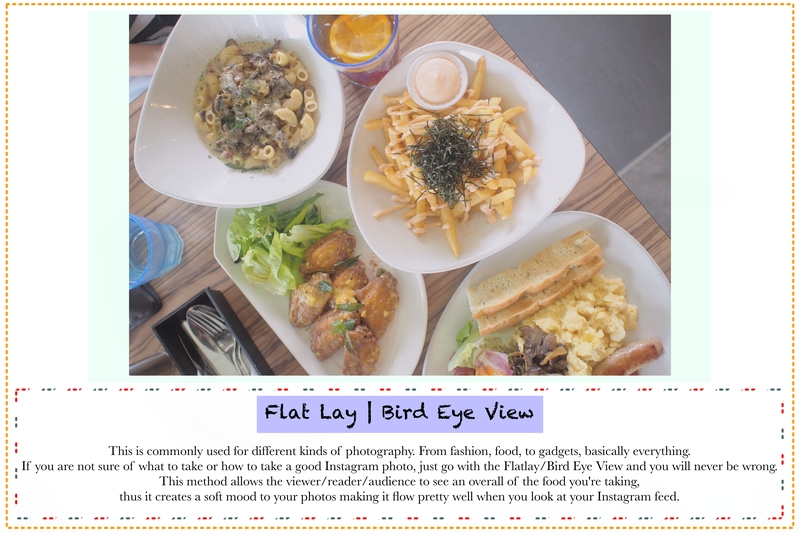 Located right outside Tanjong Pagar MRT station, the café is just a stone throw away from the station's gantry. 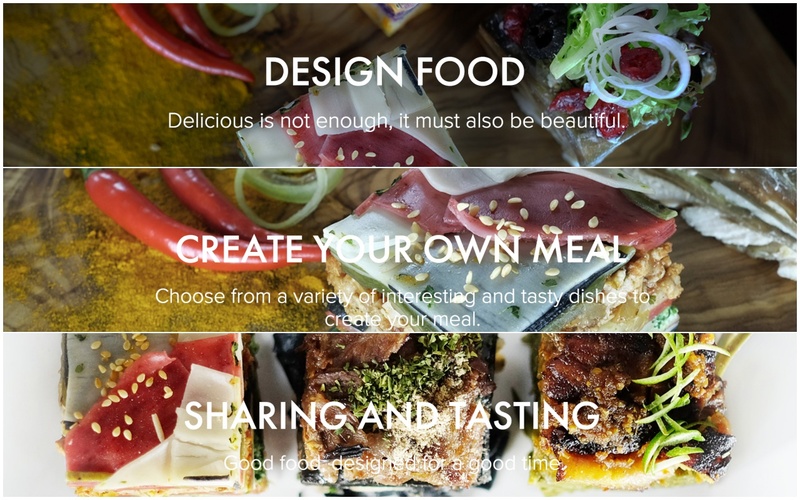 Selling local delights in wacky modular creations, you can be sure that it will keep your tummy wanting more. 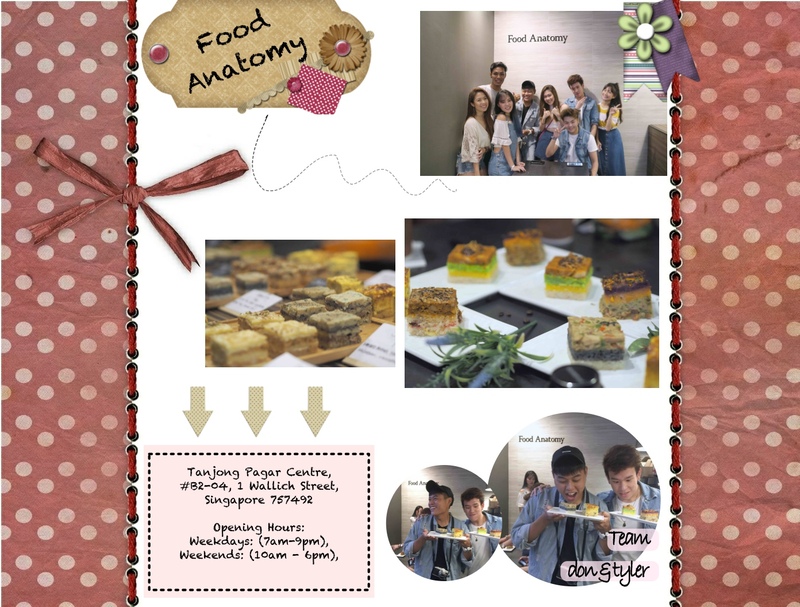 Food Anatomy serves it's food cubes from 10.30am to 9pm on weekdays, and 10am to 6pm on weekends. It is open for breakfast on weekdays as early as 7am. Strategically located just right outside the train station. Commuters who are on their way to work or school can just get a quick bite or simply takeaway and have their meal right on the go. 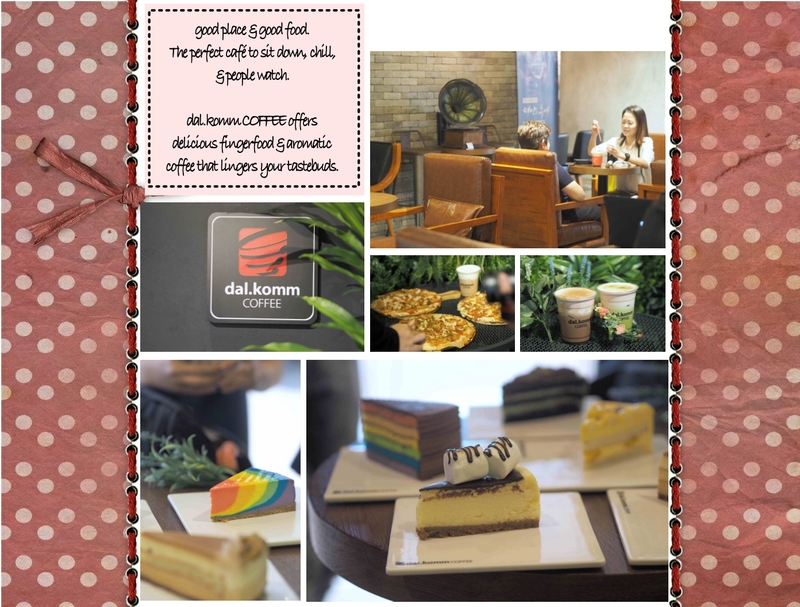 Located right at the entrance of The Centerpoint, it is hard to miss dal.komm COFFEE. I am sure most of us are not stranger to this café. It has made its appearance on some really hot Korean dramas such as Descendants of the sun or also known as D.O.T.S, in short, and Goblin as well. 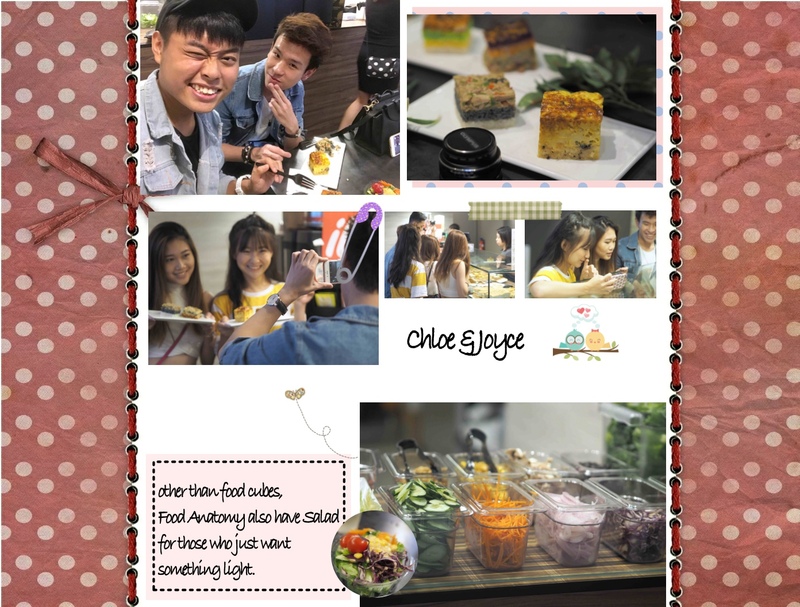 When it first open in Singapore, it was probably the most hyped café, and everyone on social media were talking about it. I never get to try it until last week. Thanks to the organizers from Teenage I finally get to sit at the café and enjoy some hot aroma coffee plus, I get to savour on some delicious kimchi pizza as well. The ambiance of the café is great, the perfect place to bring your date to. Plus points if your other half loves Korean dramas. It will feel as though you both are in some K drama scene. Hahah. Now moving on to the next segment of this post. Before I begin, we all know that our lives pretty much revolve around social media. Whatever we do, eat or comes to our mind, we share it on our platforms. 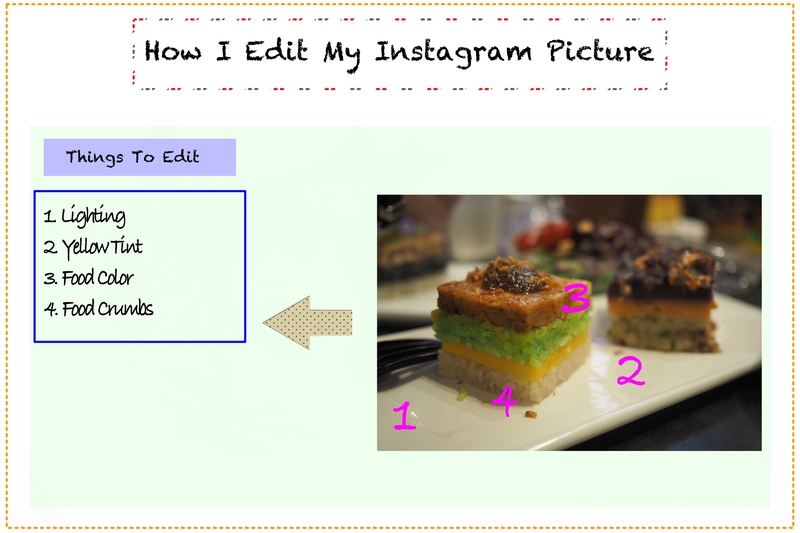 For me, I like my pictures to be nicely edited before it goes live to the internet. 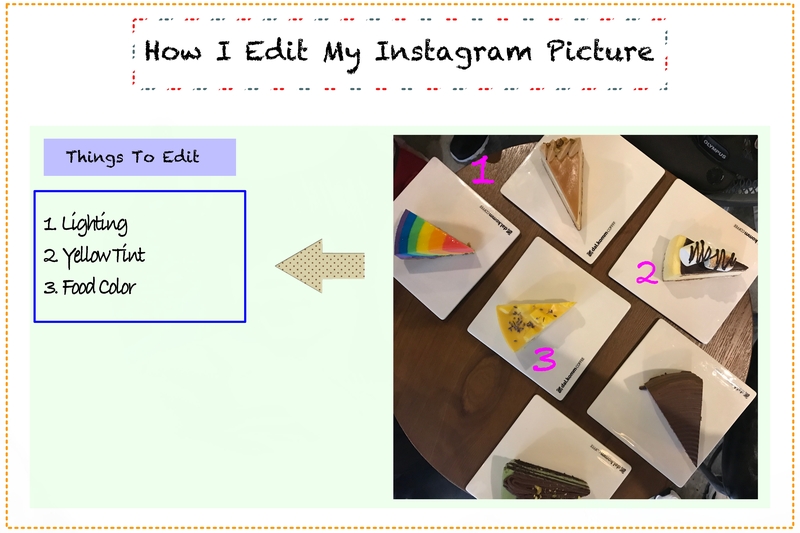 Since we're on a topic of Café Hopping thus food related, therefore this next segment, I'm going to share with you guys on the tips and tricks as to how I edit my Instagram pictures. 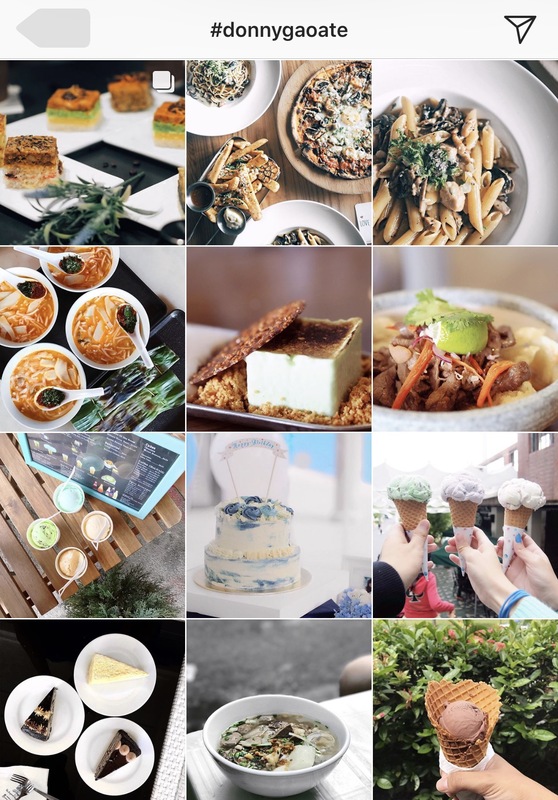 A disclaimer here, I will not say that my food photography skill is top notch but I have received quite a few positive feedback and comments on the pictures I post. So without further ado, let's get on with it. 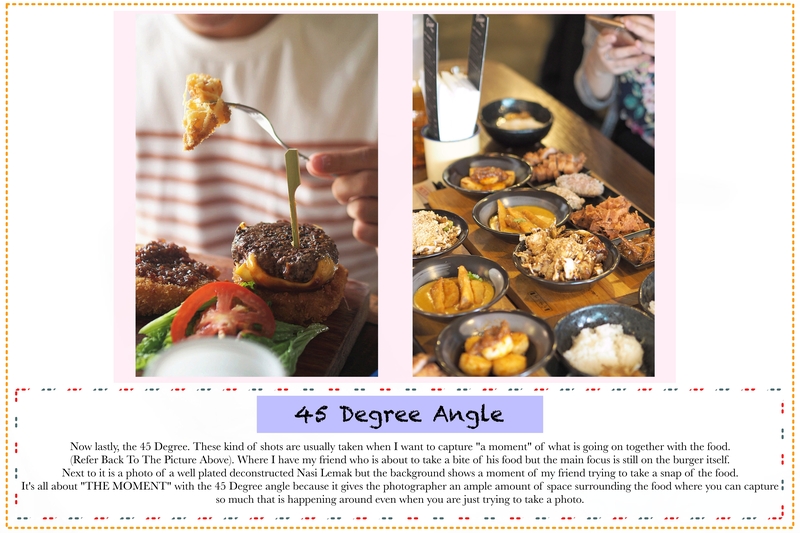 There are 3 types of method/angles where you can take your food shots. 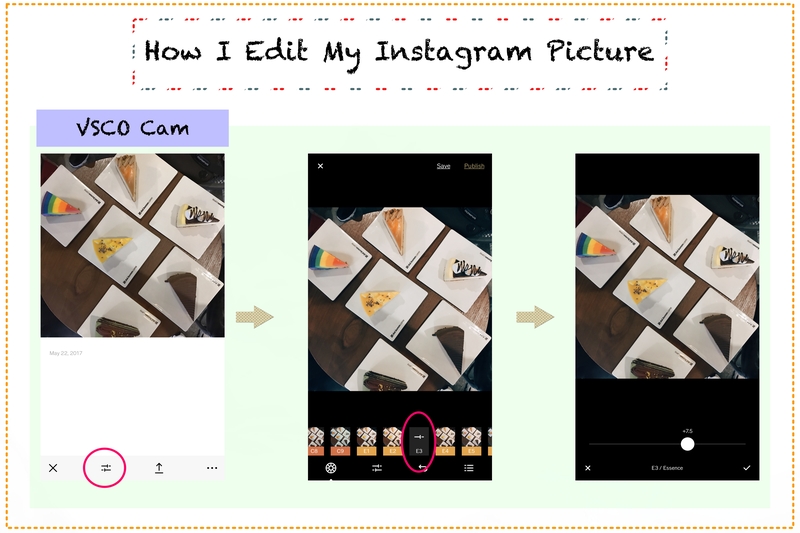 Next up, I will be showing you guys how I edit my Instagram pictures. I have chosen 2 pictures, 1 from dal.komm COFFEE and the other one is from Food Anatomy. Both from the Café Trail that the Teenage team has brought us to. 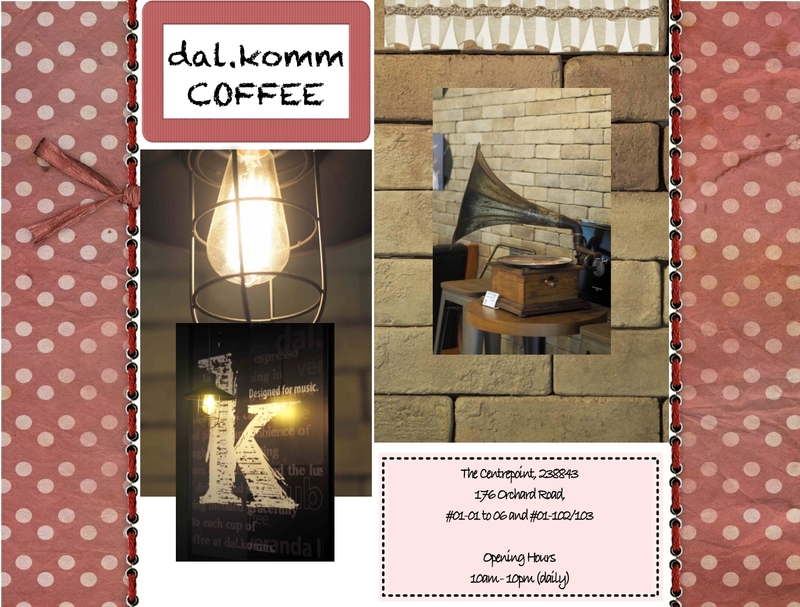 Now first let's take a look at the photo taken at dal.komm COFFEE. The lighting is pretty bad, there's the yellow tints on the plate that is coming from the café lighting, thus the food color doesn't seem that appetizing at all. 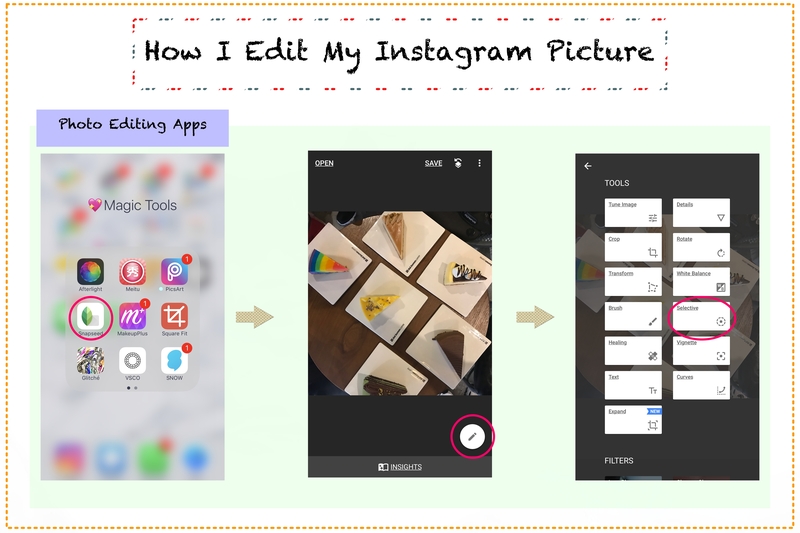 No worries it can all be resolved with photo editing apps that you can easily get it for FREE from your Google Play Store or IOS App Store. So basically I used 2 apps for these photos. Snapseed, and VSCO Cam. 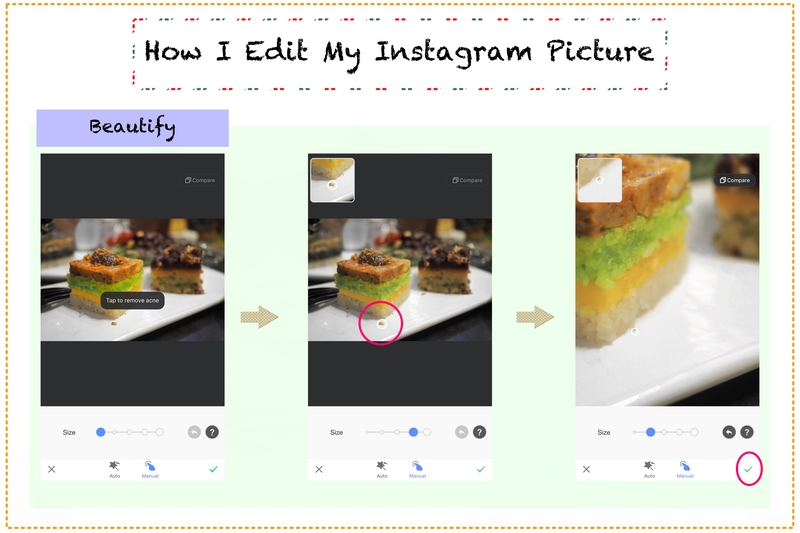 For Snapseed, I use it to "desaturate" the yellow tints that you see from the plates and also enhance the color by increasing the saturation of the food. 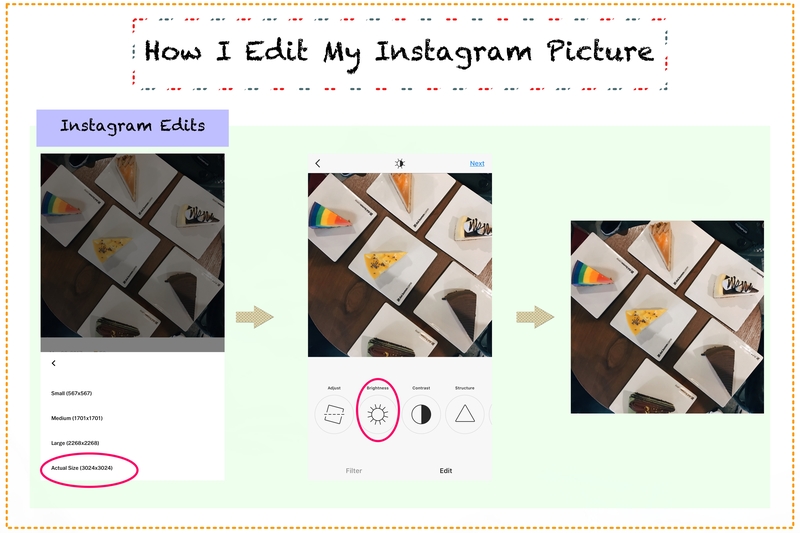 You can select various spots that you want to edit by tapping on the (+) feature. 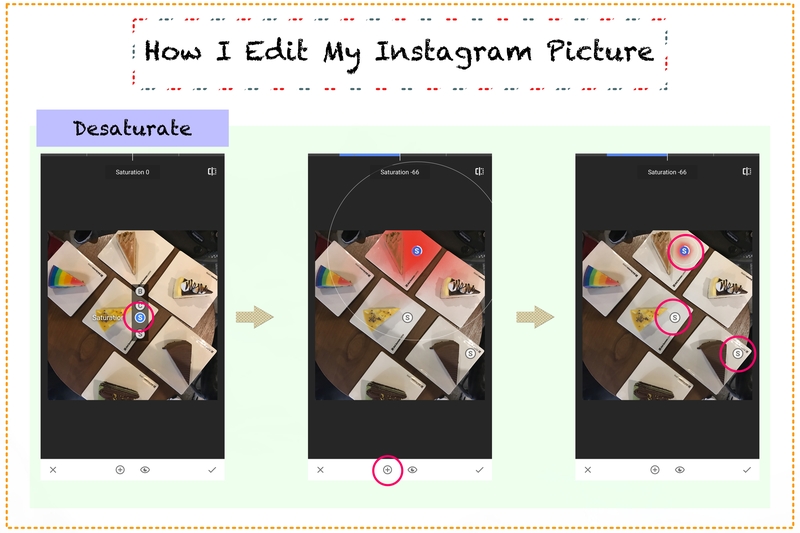 Not only that, you can also edit the "brightness" and "contrast" the same way as how you edit the "saturation". There, yellow tint and food coloring problem solved. As for the overall lighting and color of the photo. I like it warm and contrasty. VSCO Cam is pretty much versatile with it's editing. With plenty of filters to choose from (some you need to pay for it), you will be spoilt for choice. Personally, I like the (E Series). Therefore I chose E3 and I decrease the harshness till around 7.5. Usually I will put it between 6 - 8, depending on the picture itself. 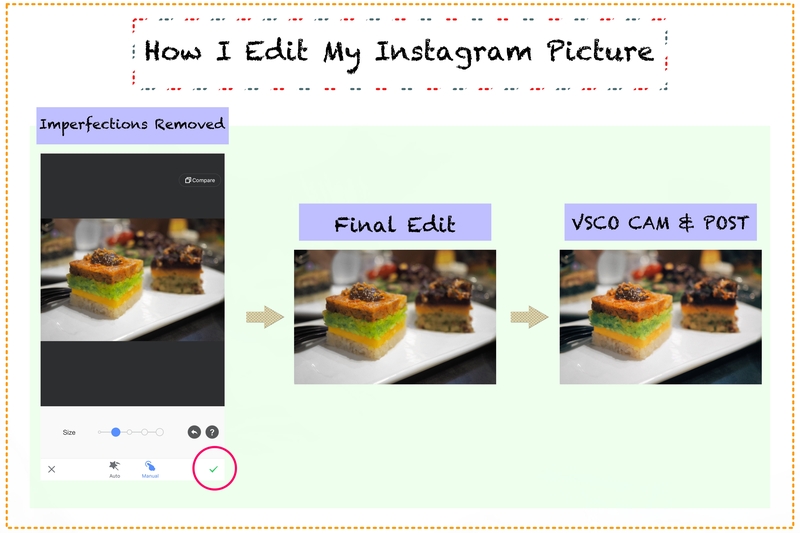 After I have done editing my picture from VSCO Cam, I will still edit the brightness a little bit on the Instagram app itself. Not many people realised that Instagram's editing tool is actually quite good. Usually I'll "up" the brightness by +10, contrast +5, warmth -5, and increase the sharpness by +50. 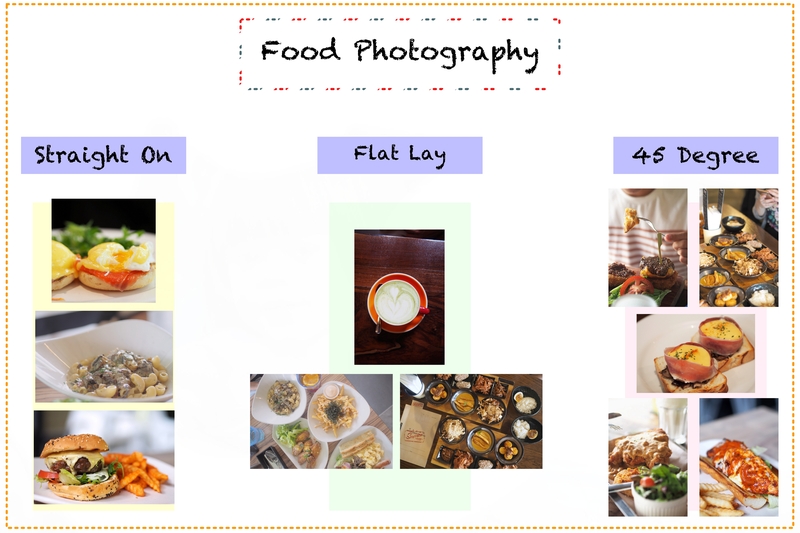 For the photo taken at Food Anatomy, it is somehow similar to what that needs to touch up from the previous picture. Just that this time round, there's food crumbs seen on the plate and it has pretty much destroyed the beauty of this photo. So apart from doing all the editing that I have mentioned above, now I'll use another app to remove the imperfections of this photo. 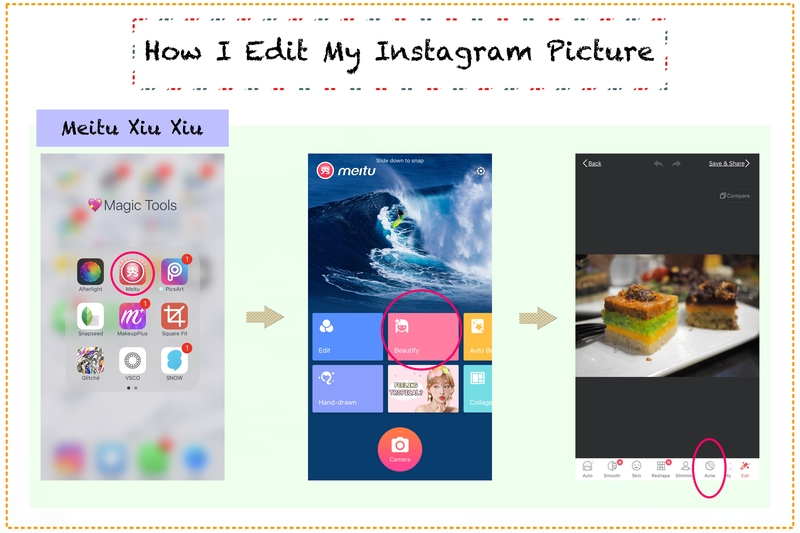 Many people thought that "Meitu Xiu Xiu" is only used for editing beauty or portrait shots. 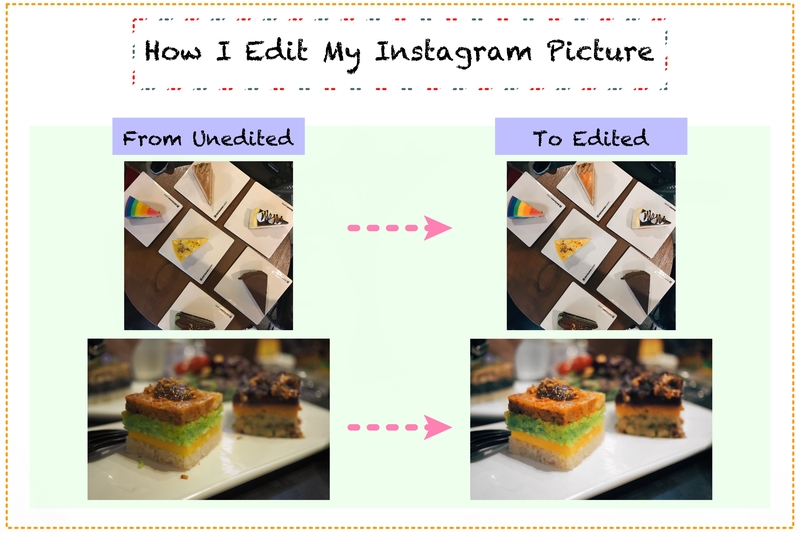 But today, I will be showing you how to remove imperfections even on food photos. Firstly, go to "Meitu Xiu Xiu" and select "Beautify". 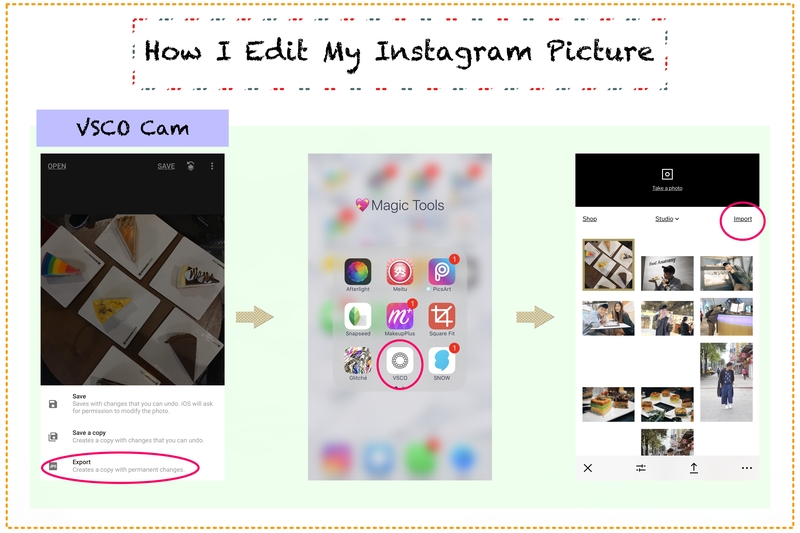 Then it will bring you to the page where you can do all sorts of "magic" and "wonders" to your photos. I like to keep it simple and not tend to over do my photos. Tap on the "Acne" button and it will show you "Tap to remove Acne". Treat those food crumbs as acne and tap it away. You can even zoom in to remove those small little particles that looks pretty disturbing if not removed. After I am done removing the food crumbs, save the picture, and I will do the same procedure as the previous photo. Import it to VSCO Cam, select E3 as my filter, export it and use the Instagram tools to tweak the photo a little bit here and there to suit my liking. 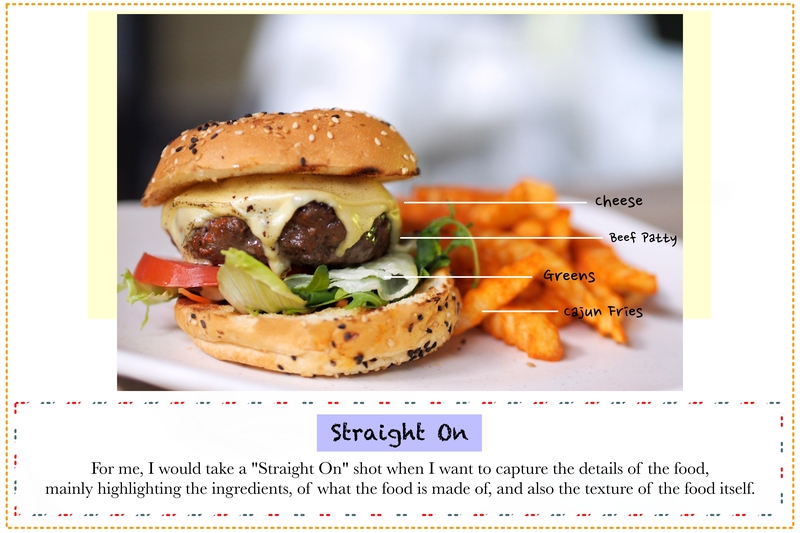 P/S: Do note that food pictures are neither from dal.komm COFFEE nor Food Anatomy otherwise stated.